Add your friend's details to the box below and a new account will be created for them with a free ticket to Igloo Dinner – Tower Bridge. Join us for dinner in our very own exclusive Igloo! Back by popular demand, Bob has managed to book one of Coppa Club's eight exclusive igloo-style domes on the river. 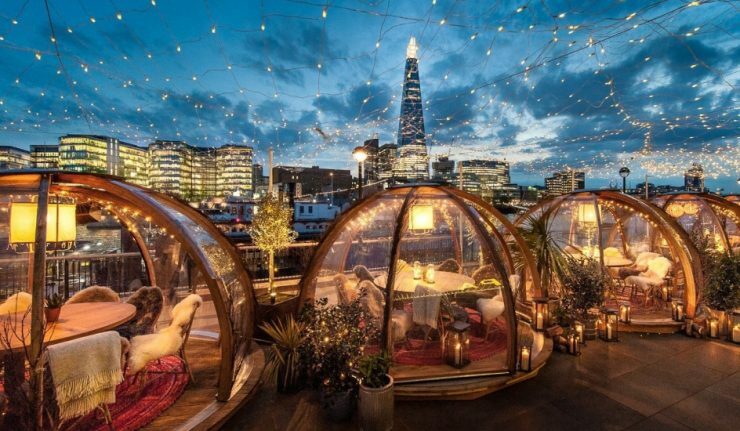 Complete with sheepskin blankets and cocktails these igloos are one of the absolute must do's in London. Tonight we have our very own twinkly pod to enjoy a dinner with new friends.